While you were spending time with family and friends enjoying the holiday season, the Tax Cuts and Jobs Act legislation was signed into law by Congress on December 22, 2017. With 505 pages of new tax legislation, significant changes to the taxation of individuals and businesses will be implemented in 2018. For individuals, the majority of the changes are temporary and will revert to previous rules after December 31, 2025 unless otherwise indicated. The majority of the corporate tax changes are permanent. To save you the added torture of reading the entire bill, here is a summary of the most significant changes. Charitable Contributions – The Act increases the percentage of current year income from which charitable contributions may be deducted from 50% to 60%. The 80% deduction for university athletic seating rights is repealed. The Act eliminates the deduction for alimony payments pursuant to a divorce or separation agreement executed after December 31, 2018. Under the new rules, distributions from 529s can now be used for tuition at an elementary or secondary public, private, or religious school in addition to post-secondary education. The individual mandate to purchase health insurance coverage or pay a penalty has been repealed. The Act changes the inflation index used to increase the income levels at which progressively higher tax rates take effect from the standard CPI (Consumer Price Index) to a “Chained” CPI. 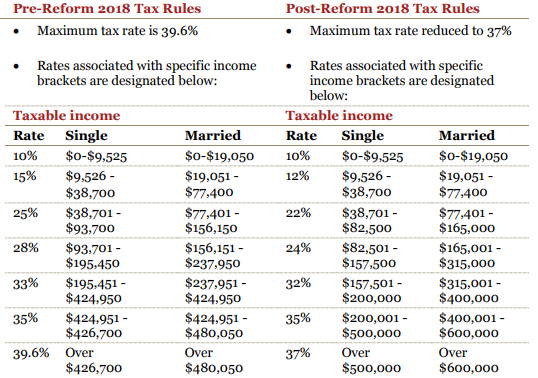 Chained CPI increases less quickly than standard CPI potentially forcing taxpayers into higher tax brackets more quickly than under the previous index. Income earned by pass-through entities such as partnerships, limited liability companies, and S corporations flows through to the owners’ tax returns. The Act provides a deduction equal to 20% of business income received by owners of a non-service business. The deduction is only available through 2025. Owners of a personal service business may claim the deduction if the owner’s joint income is less than $315,000 and subject to a phase out limit up to $415,000. The Act defines personal service businesses to include entities providing financial, brokerage, health, law, accounting, actuarial, or consulting services, but excludes engineering and architecture businesses. 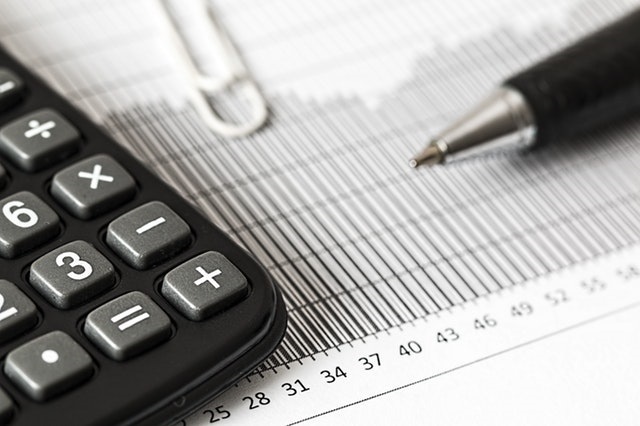 The Act allows businesses to immediately deduct capital expenditures they make through 2022 rather than claim depreciation deductions over the life of the asset purchased. The provision will be gradually phased out from 2022 through 2026. A business may no longer deduct net interest expense to the extent it exceeds 30% of the business income. Real estate businesses and other businesses with gross receipts less than $25 million are exempt from the disallowance. Under the prior law, a foreign subsidiary’s earnings were subject to a 35% U.S. tax when the subsidiary repatriated its earnings. The Act provides that future earnings of foreign subsidiaries will no longer be subject to tax on repatriation. Earnings of U.S. companies that are currently being held overseas will now be subject to tax at a rate of 15.5% for liquid assets and 8% for illiquid assets upon repatriation, payable over eight years. The new tax laws still offer plenty of financial planning opportunities that you may have benefited from the past. Please consult your financial advisor if you have questions or concerns about how they may affect your financial plan.